No one could accuse boudin—the traditional Cajun sausage make with pork, cooked rice, and spices—of being insufficiently decadent. Spicy, fatty and delicious, it's a regional favorite for a reason. So stuffing it into a grilled cheese might be borderline obscene. But also completely brilliant. Hot Joy, in San Antonio, TX, didn't invent the boudin grilled cheese; they freely cite Johnson’s Boucaniere in Lafayette, LA, as the creator. But with a menu that works Asian flavors into southern and Cajun dishes, Hot Joy created a version that's totally unique. The bread: A pressed hamburger bun holds this sloppy thing together. The filling: Hot Joy's house boudin is the star, with nori and dashi to add a distinct Japanese influence. 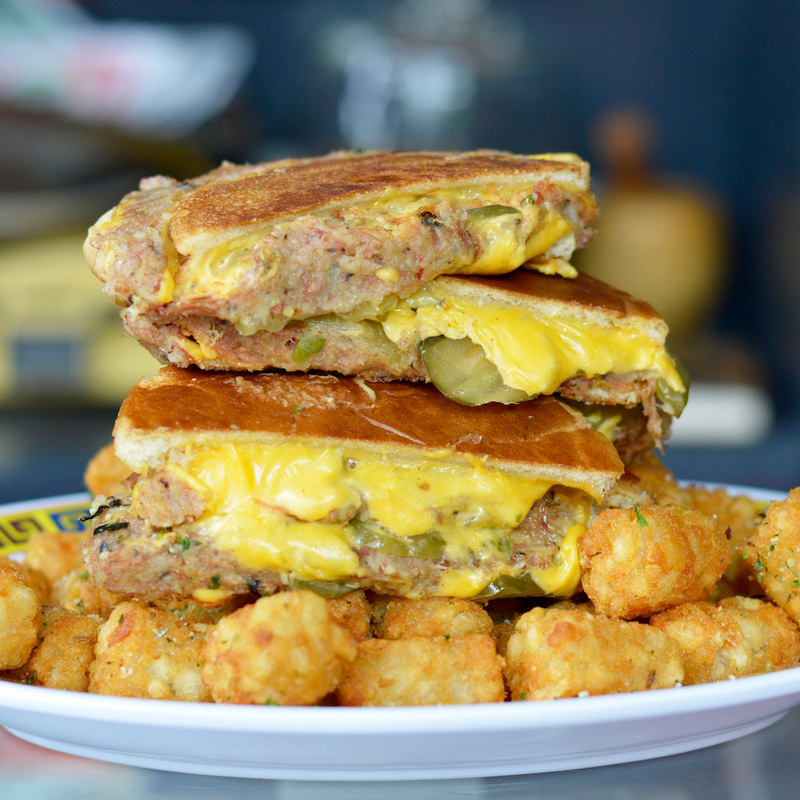 That boudin is pressed into a hot, overstuffed sandwich with melty American cheese, bonito, pickles, Kewpie mayonnaise, and tonkatsu sauce (like a Japanese barbecue sauce in its sweet-and-savory flavors). The result is a sandwich that's half Japanese junk food, half pure Cajun… and who could fault that combination?